When I was a tiny child, I had multiple stuffed reptiles named after Fafner, the dragon from Wagner’s Ring. Even more beloved than gigantic stuffed snake my father had splurged on one Chanukah was Baby Fafner, a dragon plushie about the size of a cat, with huge sad eyes. I wasn’t allowed to hang on to him when I grew up, because my father and stepmother believed that the stuffed animals at their house belonged to the kids in general, not individually. Still, I missed Baby Fafner. When my little brother and sister said they’d saved some stuff for me from the estate sale (Daddy and Stepmum having both passed away), I had a feeling Baby Fafner would not be there, but I hoped, anyway. Babies grow up, which means so do baby dragons. Baby Fafner grew up and became the dragon in my book. 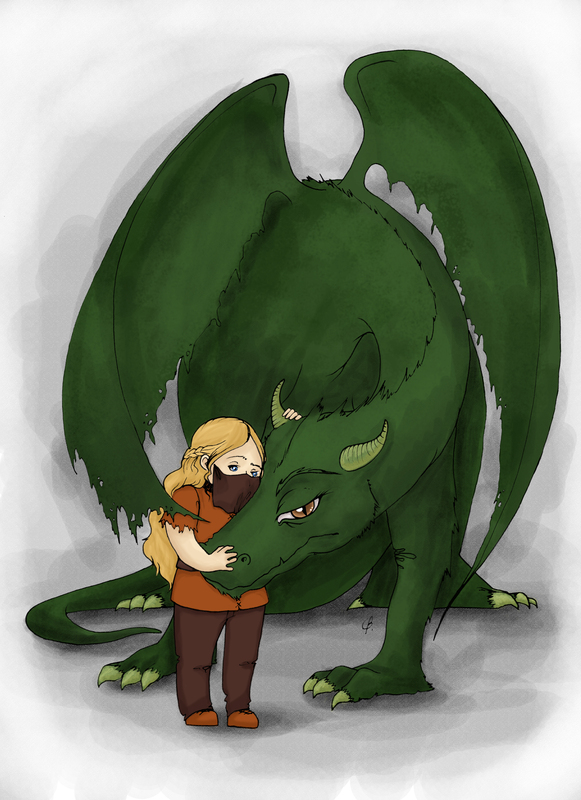 Image | This entry was posted in Mangoverse and tagged cartoon, chibi, Dragon, dragons, fantasy, fantasy art, fantasy books, warrior woman, young adult fantasy. Bookmark the permalink. Wow, this makes me a little teary-eyed. (I’ve always had a thing for lizards myself).